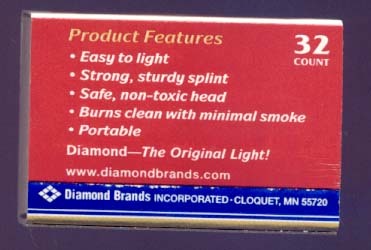 This is a direct scan (shown larger than actual size) of the back of a standard-size box of wooden matches manufactured by Diamond Brands. As you can see, it lists five product features, the last of which is that this box is portable. You know, compared to all their competitors' matchboxes.